Setting up your Tuition Settings will enable you to Post Tuition Fees to multiple families and apply different discounts as well as prorate fees for things like closed dates. 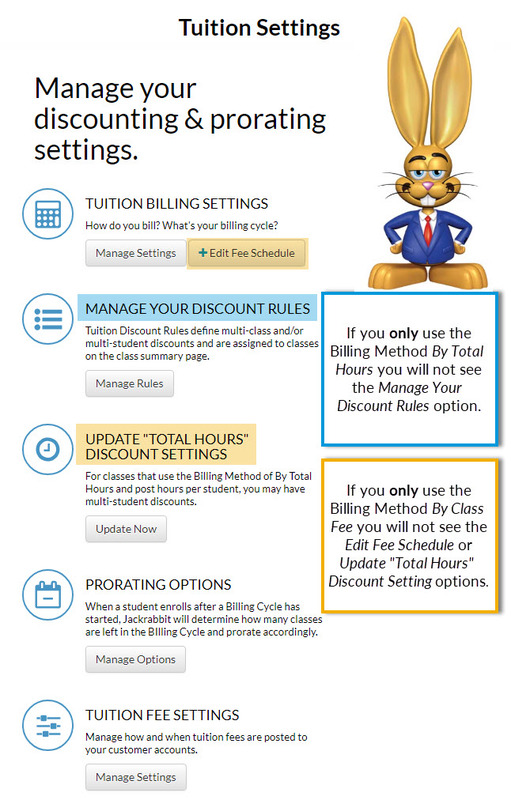 Tuition Settings are located under the Tools menu > Edit Settings. If you exit the Wizard before you have completed all of the steps, any settings you have made will be saved but your place in the Wizard is not saved. You will need to start at the beginning when you return and click Next Step to advance to the step where you left off.